Beebe Healthcare is proud to announce that the physicians and team at Cape Surgical will be joining Beebe Medical Group in late January. The Beebe General Surgery – Cape practice will include general surgeons Mudiwa Munyikwa, MD; Erik Stancofski, MD; and Ramakrishna Tatineni, MD; and physician assistant Kristin Cordrey, PA-C. The Cape surgeons join the surgical team of Lisa Attebery, DO; Mark Facciolo, DO; Michael Sofronski, MD; and James Spellman, MD; to offer patients a full array of surgical services with offices conveniently located throughout Sussex County. Contact Beebe General Surgery – Cape at (302) 645-7050. The office is located at 750 Kings Highway, Suite 103, Lewes. 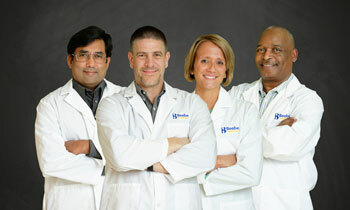 CAPTION: Shown (left to right) are Ramakrishna Tatineni, MD; Erik Stancofski, MD; physician assistant Kristin Cordrey, PA-C; and Mudiwa Munyikwa, MD of Beebe General Surgery – Cape.